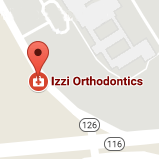 At Izzi Orthodontics we create beautiful, healthy smiles for both children and adults. Our office is a professional and family oriented environment that serves Providence, North Providence, Lincoln, East Greenwich and the surrounding RI areas. 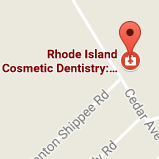 We have the reputation of being the best place to get braces in Rhode Island. 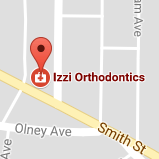 Dr. Jason R. Izzi and his staff will give you only the necessary treatment that you require. We offer the most efficient treatment plans and utilize the newest advances in technology. This results in shorter treatment times and less appliance being used. We strive to make orthodontics as quick and easy as possible. Our practice treats everything from minor misalignment to complex cases working with other specialists and general dentists. In addition, we provide our patients with comprehensive treatment, interceptive treatment, and alignments for jaw surgery. To ensure your comfort, we have extended business hours and are very accommodating with appointments. Our staff is extremely polite and will always greet you with a warm welcome. We treat patients of all ages, because we believe everyone deserves a beautiful smile. Be sure to book a complimentary consultation at either our North Providence, Lincoln or East Greenwich location today!